MobileFuture, a news and advocacy site for mobile technologies, produced a great video that covers the growth of mobile technology in the last year. Of particular interest to us in this video is the growth of mobile app downloads, from 300 million in 2009 to 5 BILLION in 2010. Now that is incredible growth. Of course, 2010 brought the iPad, perhaps the biggest game-changer in mobile learning with so many applications coming out daily it is hard to keep up. We have seen what mobile learning can do for children with special needs and predict that 2011 is going to be an year of innovation and explosive growth in the area. Apple even added a “special education” section to the App Store. About 6 months ago, Ambient Insight Research, an international market research firm focusing on mobile learning released an interesting report “US Market for Mobile Learning Products and Services: 2009-2014 Forecast and Analysis (PDF Overview)”. It points to some interesting trends, including the increase in applications built specifically for mobile devices including location based learning applications, augmentative reality applications and “edugames.” While it is no surprise that gaming is the top content category in 90% of application stores, what is interesting is that a significant percentage of these are being designed for young preschool children. We have posted about the Joan Ganz Cooney Center in the past in our post “Learning: Is There an App For That? – A New Report on Mobile Learning and Young Children which highlights some of the very interesting findings in their report. Perhaps the only sobering note in the article is the recommendation that consumer-protection policies be put into place to ensure that companies do not claim educational benefits of their applications for mobile learning when there are none. A timeless recommendation that is critical for mobile learning to reach its potential. Mobile devices are an integral part of children’s lives and they are here to stay. The social and cultural phenomena, market opportunity, and, most importantly, the “pockets of educational potential” documented in this report must not be dismissed. Our national debate must shift from whether to use these devices to support learning, to understanding how and when they might best be used. Just as Sesame Street introduced generations of children and their families to the potential of television as an educational medium two generations ago, today’s children will benefit if mobile becomes a force for learning and discovery in the next decade. 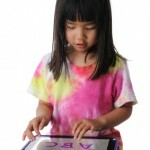 Will 2011 be the year mobile learning starts to reach its potential? We anticipate 2011 to be a wild ride! Theoren February 24, 2012 at 11:12 AMThis week I learned a lot about Pirates.When I am laenring about Pirates I do everything pretty good because I really like laenring about them.I don’t think I can do anything better because I really know all that I have been tot My goal for next week is to learn a lot more about Pirates.